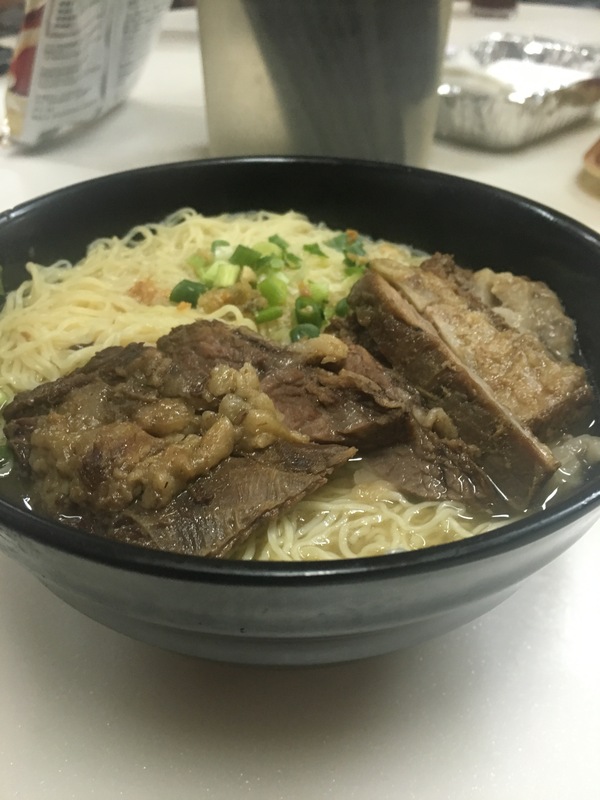 This is part two of my Hong Kong Travel Diary series. Read part one here . Our first agenda for that day was to meet my best friend Jinitya and her little family for brunch. 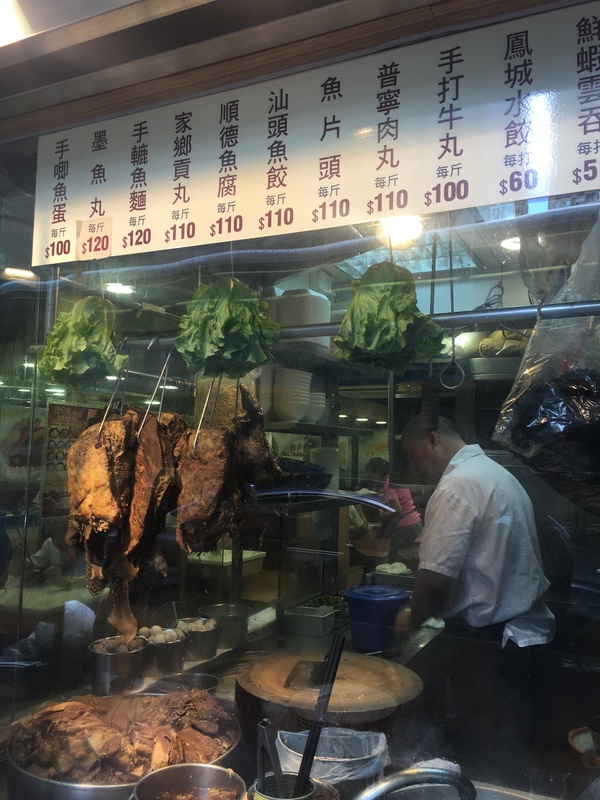 As she was staying in Wan Chai area as well, we decided to meet around the area and found a place to eat. But first, coffee. Today’s coffee was from The Cupping Room Wan Chai which conveniently located in between Cue Hotel and the hotel where Jinitya and her family were staying at. As usual I ordered latte, which was good, but unfortunately still failed to match Omotesando’s latte which I had the previous day. After meeting Jinitya, we quickly agreed to eat in a small traditional restaurant which name remains a mystery until now because every signs were in Cantonese. The restaurant had a single page of English menu, which consisted mostly of noodles. They were so good, even my family and I came back the next day for lunch hahahaha. We parted ways after brunch, and then my family and I went to Comix Home Base – an arts centre which is nestled in a restored heritage building. Being an aspiring comic artist, my brother found his playground there, but I also enjoyed browsing through the collection and also admiring the architecture. It’s a must visit if you are into arts and architecture. Then without we realising it, it was past 12 and we felt hungry (again! :p). So we went to Hong Kong Islamic Centre to eat the famous Halal Dim Sum. It was indeed delicious! We waited there for a while because it turned out to be raining quite heavily. Oh well, raincoat to the rescue! Our next destination was Tsim Tsa Tsui area. This time we took star ferry from Wan Chai station. I expected to see nice view, but since the rain has just stopped, it was cloudy and rather foggy… so there was not much to see. Afterwards we went to Hong Kong observation wheel to get a glimpse of HK’s city lights. It was not too tall so it’s not scary at all, overall a nice touristy experience. Last but not least, we stopped by McDonalds NEXT just before heading back to the hotel. I’m going to write about this in a separate post because it’s just too awesome. Haha. Haha, now I wonder what is so special about the McDonald’s 😛 . Rain oh rain, it is not a good friend of holidays, especially outdoor. Eh iyaaa… hayukkkk… setujuuu bangett.. minggu pagi lahh, haha..